Do you need a bigger file? The file available on this site is 718 x 1024 px. To obtain an alternate file type or higher resolution copy, please contact the owning institution. 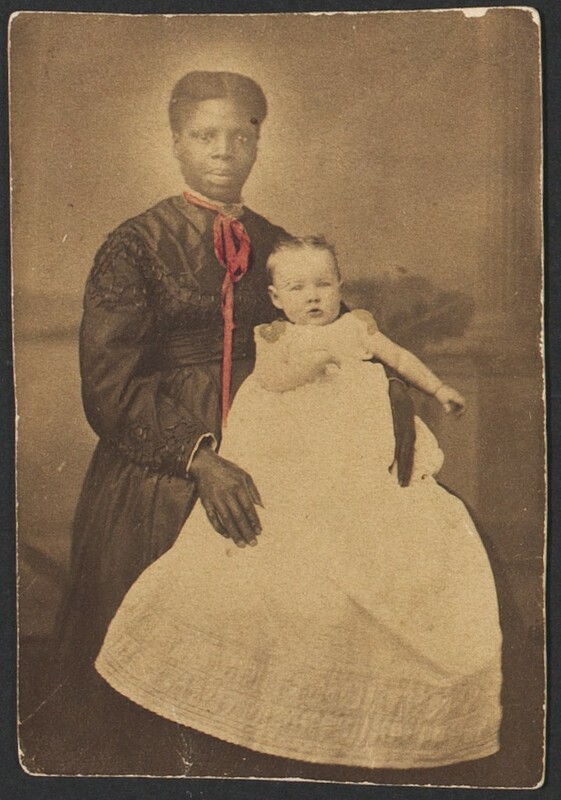 Scope/Content: Portrait of Alice Daisy Summons as a baby, being held by an unidentified young African-American woman. Daisy wears a long white gown, and the woman wears a dark gown. The woman may be Nicey, who was brought to Riverside by Eliza Tibbets as a child and is considered Riverside's first Black resident.